If you should like to subject yourself and your family to as little stress and strain as possible while you are relocating to a new place, especially if you need to do everything relatively quickly, here are a number of options that you have. 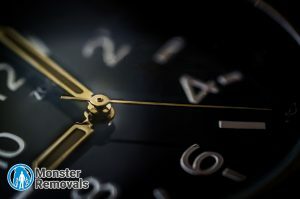 Short notice removals are not more complicated than those when you have more time at your hands. At the end of the day, it all comes down to extensive planning and proper preparation. If you follow the tips that we offer to you here, you should not have too much trouble succeeding in said endeavour. No matter how little time you have on your hands, it might be a good idea to set aside at least a day in order to go through your possessions and decide what you are to keep and what you can live without. The key to a short-notice removal is to get rid of all of the unnecessary clothes, furniture and personal assets. Not only will you be able to move house faster, but it is going to cost you less due to the fewer people and hours that you will need to complete the job. In case you do not have enough time to complete all the tasks related to your domestic relocation on your own, you need to remember that there is no shame in asking the people who are close to you to assist you. Your family and friends will be more than happy to lend you a helping hand with packing, cleaning and loading your boxes on the van. Just don’t forget that if you get such help, you are to show your appreciation – buying small gifts or taking them to dinner in order to say thank you will be a way to start. No matter how constrained your schedule is, attempting to rush things is not going to do you any good. Make a checklist of all tasks that you have to take care of, and then start tackling them one after the other. Keep track of your progress and never move to another item on the agenda after you are finished with the one you are working on right now. Thus you will reduce the stress and strain you are going to through and enable yourself to achieve outstanding results on your short-notice removal.